1407 Shrimp Boat Lane, Mt. Pleasant, South Carolina 29464. 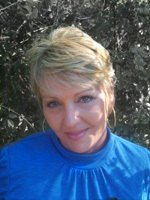 She will give you simple steps on how to turn your “deadsite” into a money making website! Search Engine Optimization Pioneer, Kym McLaughlin, Founder of Advanced Internet Marketing, will give you strategic steps that you can take to increase the exposure of your business, build leads and increase revenues through inbound marketing. Learn how to pull traffic, position your site and your business online to become a leader in your industry. For more information on this months Lunch, Lear & Earn and to RSVP to this event click here. Give us one successful way that you communicate with your customers and prospects. Email blasts, handwritten notes, Send Out Cards, etc. What types of mentors could you use right now to further your business? The Ball will launch the Colon Cancer Alliance’s National Dress In Blue Campaign and will feature a live fashion show, designer showcase, music, dancing, entertainment, and more!! This is a fabulous event for a great cause! Proceeds benefit colon cancer awareness, research, and screenings in South Carolina. Tickets start at $75 per person. To buy tickets and read more on this event click here.